Migration has begun, or did it ever end? Even in our little Northern Utah valley its happening. 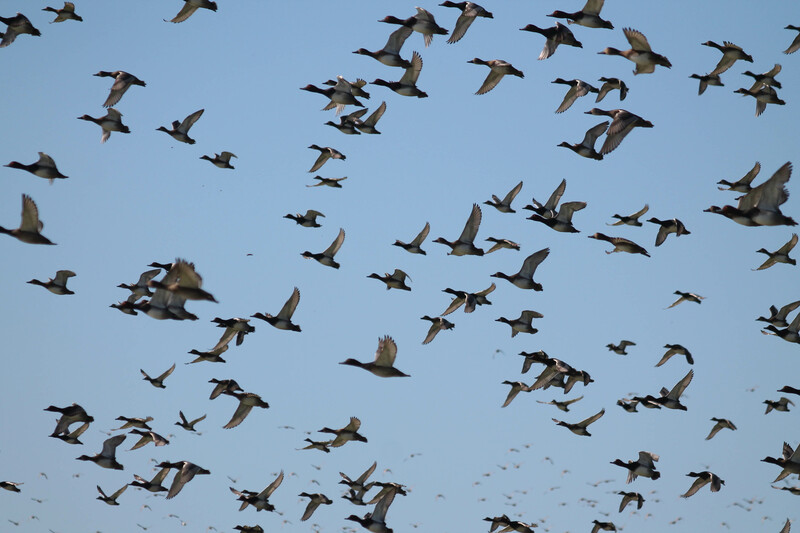 We normally think of migration during the great flocks of birds that pass through during swing months of fall and spring, or the deer and elk coming down for the winter, or swarms of salmon swimming to their death when spawning. But that’s only a small part of the story. 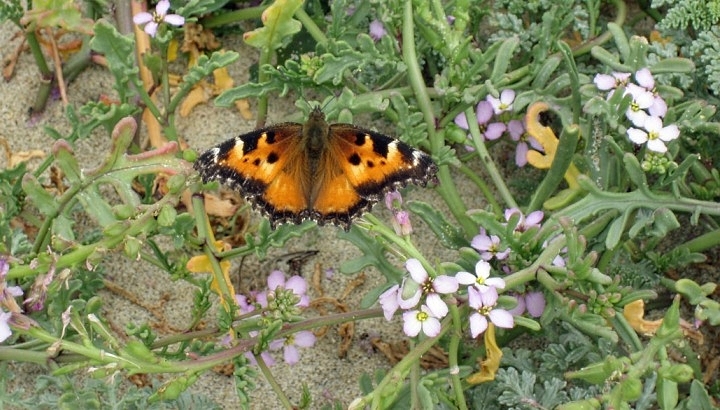 A high elevation trek in our Bear River range in July where cloudbursts of lovely California tortoiseshell butterflies surrounded me provided testimony as they worked their way to unknown destinations. With the iconic monarch butterfly populations plummeting, it’s comforting to have other species holding their own- most likely due to their lives being spent in high elevation wild lands, well away from farms and lawns where pesticides and habitat loss present major challenges to monarch survival. 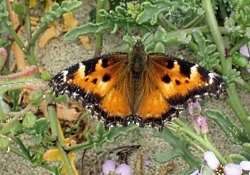 The California tortoiseshell, overwinters as an adult and can sometimes be seen sunning itself in midwinter on mild days. It is generally common in lower canyons in early spring, ovipositing on the young, tender growth of Ceanothus shrubs. The spiny, black-marked-with-yellow larvae feed gregariously, without a web, and in big years can defoliate whole stands of these plants. They often pupate on the bare, leafless stems en masse, the grayish-violet pupae looking like some strange kind of leaf and twitching in unison when disturbed. Adults emerge in late May to early June and almost immediately emigrate, going north and upslope. Breeding localities in summer vary widely from year to year. 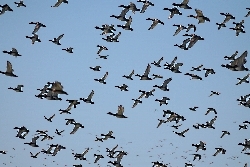 In late July they migrate to estivating grounds often in the high country. Estivating tortoiseshells do little but “hang out,” and many high-altitude hikers have described their encounters with millions of them in mystical terms. In late September these butterflies scatter downslope to hibernate–they are the late-winter butterflies of the new year, living 9 or 10 months as adults. They visit flowers of many kinds, aphid and scale honeydew, damaged fruit, sap–and mud: a mud puddle in a mass migration is a memorable sight, often with hundreds or thousands packed side-by-side on the damp surface. Close to home the yellow warbler is yet singing- one of the last of our neotropical birds to hang it up. These tiny warblers will soon head south to Central and South America. 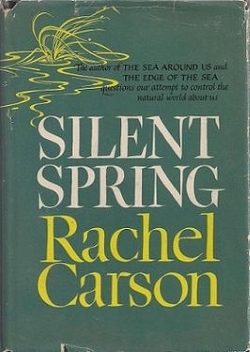 Even our native people would migrate to follow the plant and animal populations spending time in high mountains during summer months for camas lily, mountain sheep, and berries, then retreating to low elevations as the winter season approached for milder weather and more available food. And here in Logan we have a swarm of “Summer Citizens” who show up in May to occupy the nests vacated by USU students, who will soon migrate south as our student return. And I retreat to our canyons for skiing once the snow is on. 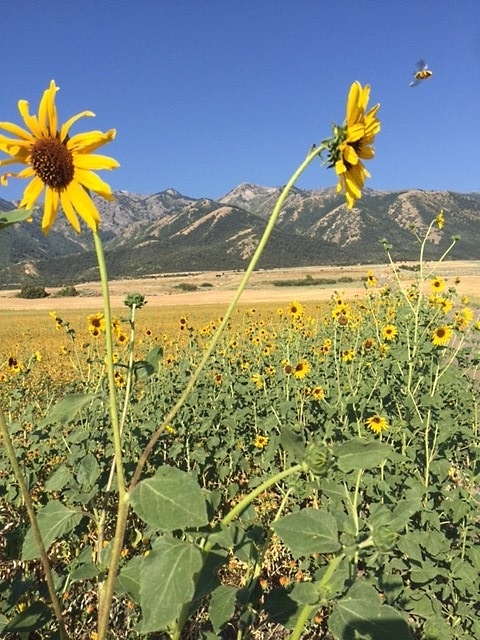 This is Jack Greene- and I continue to be Wild About Utah! Wanting to know more, I dropped into the Honeyland store in Cache Valley and was soon mesmerized by the active cut-away hive on display. It was a teacher’s dream come true – hundreds of bees – all diligently on task. Wide-eyed, I watched as a bee flew in at the bottom of the screen through a tunnel under the window looking very much like a bike rider with two full paniers She deposited the full sacks of pollen and then she began to dance. This took me quickly to the internet to learn more.. The bees dance is called a “waggle dance” – a straight line calibrated to communicate how far away the food source is, and a circular return arc to orient the path to the food. The waggle dancing bee can direct her sisters to a food source up to five miles away. It takes 550 worker bees visiting 2 million flowers to make 1 pound of honey. Top speed for a bee is 15 mph. Each honey bee makes one twelfth of a teaspoon of honey in her lifetime. I soon returned to the store’s cut away hive and finally found the queen – a bit tricky as she looks like all the others except she’s one and a half times bigger. I watched as she dipped her tail into one hexagonal cell after another. On a good day a queen will lay 2,000 eggs. Busy, busy bees working together to set aside enough honey to feed themselves during the winter. 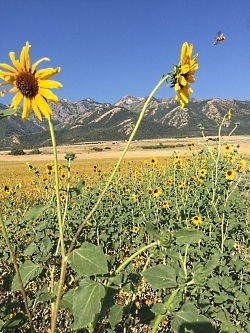 Mountain honey looks and tastes a little different than honey made by bees pollinating Cache Valley alfalfa. Both are incredibly delicious. 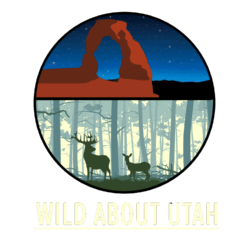 This is Mary Heers and I am Wild About Utah. As human populations increase, and construction developments overtake agricultural land and wildlife habitat, some people may feel as if there is little hope for local connections to nature. Don’t raise the white flag of surrender. 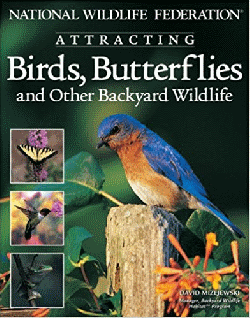 There is much you can do in your own yards to help attract wild songbirds and butterflies. The simple answer is to keep things in line with restoring their natural habitat by providing food, water, shelter and places to raise their young. The best way to restore, or maintain, a successful and healthy ecosystem is to utilize “native” plants. Natives are basically the plants that would grow in the area naturally. Although some exotic transplants from other locations can be stunning to look at, and may even grow successfully in a new environment, wildlife may not be able to adapt to its use as food or shelter. In fact, those foreign plants may actually spread and push out native plants and prevent songbirds and pollinators from entering your yard. Some of them also carry diseases for which our native plants have no immunity. Scientific studies have proven that having a diversity of plant species in an area improves the health of all those plants…..if they are natives to that locale. And healthy plants provide healthy benefits for wildlife and people. Westerners should reconsider the idea of having a monoculture lawn of Kentucky Bluegrass that is so common in the Eastern parts of the U.S.
What are some factors that determine which native plants will succeed in your area? Learn about the elements and nutrients in your soil by using simple soil-test kits which can be purchased at Garden Centers. Can you obtain plants that will succeed in natural soils, or will you have to supplement it with chemical fertilizers? Are you willing to deal with the potential effects of additional chemical use? Some plants require mostly sunny areas, some shady, and some a combination of both. What is the climate like in your locale? Don’t confuse this with weather. Climate is the average condition of a place for twenty years or more. What is the normal precipitation pattern? Will you have to supplement that with irrigation? Can you afford that if your area is suffering from drought conditions? Make certain that you check the cold-hardiness zone of plants you purchase. Some commercial retail stores will sell whatever they are shipped, often knowing that those plants will never survive in your area. 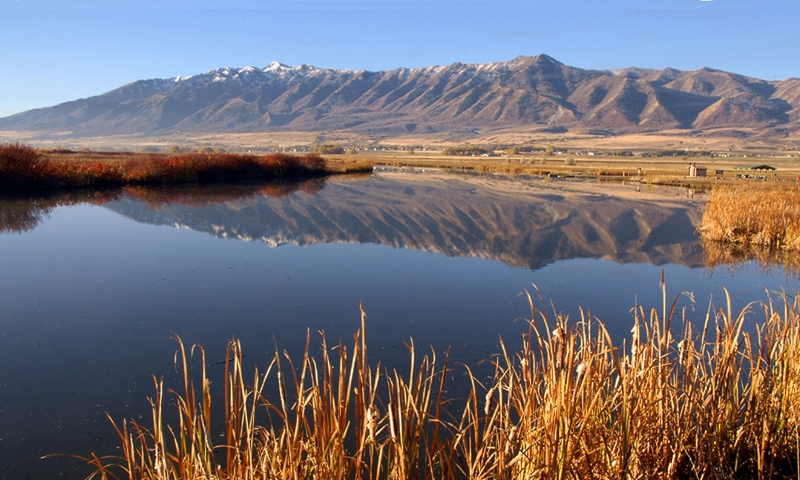 And you can always “Google” Native Plants + Utah.